The BBC has revealed that peak time for users logging into its stupidly successful online platform, the iPlayer, on a mobile phone is a rather late 9:30pm. This means that the majority of its mobile users are choosing to log on later in the evening, and post-watershed, to view programmes that they may have missed. The BBC has also revealed that its most popular day of the week for the iPlayer, again mobile wise, is a Sunday. Although it didn't go as far to confirm if viewers were watching things like Top Gear hungover and with a bacon butty in their collective hands. It's not just night owls who are 'tuning' in to the iPlayer on their handset, though, as the second most-watched time seems to be in the morning around 7am and 10am. This makes perfect sense, given that it is when the morning commute usually takes place. 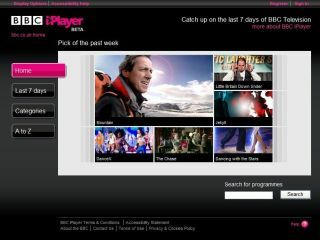 The iPlayer mobile-wise is currently available on 22 handsets – including the Sony Ericsson W995 and Nokia N97. While no official figures were released it does show that more and more people are looking to their mobile phone to view content on-demand. This is something the BBC will have to consider when making Project Canvas available to the masses in 2010. Although it's primarily pitched at set-top boxes, no doubt there will be some sort of convergence model made for the mobile platform.